These coming-of-age young adults appear to be forming a pair-bond. Their interactions here involve a push-pull dance of enticement, interactions, attempts and denial. It’s mating time, and the dance will be performed until the bond is solid and mating takes place. It was dark, so I just kept clicking away at the rate of about one click per second during a time span of about seven minutes. I actually could not see what was taking place until I got home, when I looked at the images I took. Many of the behaviors were repeated over and over, so I’m just going to post enough of the shots to show what was going on: to show what is going on in the coyote world right now. Background information: Coyotes come into heat only once a year, beginning about now. Males, too, only can reproduce once a year. They begin producing sperm, through a process known as spermatogenesis, which takes, I’m told, two full months to accomplish. 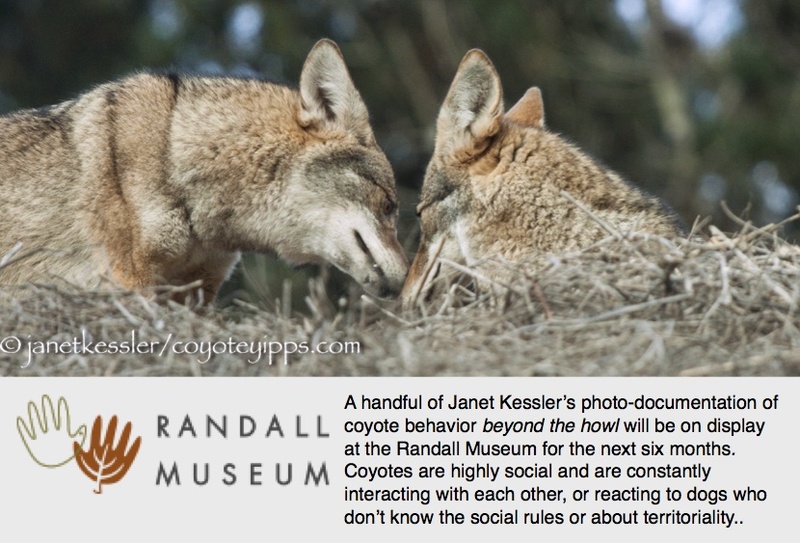 Neither male nor female coyotes are reproductively viable at any other time of the year. Coyotes are monogamous and mate for life. The parents work together to raise the young: family life is the essence of their existence. Gestation is about 63 days, and birthing takes place at the beginning of April. The ritual you can see here involves the male who initially, ever so casually, approaches the female as she hunts. She snaps at him a couple of times and runs off — but this phase of their dance doesn’t last longer than a few minutes. Her snapping appears to be more of a love bite. She crouches or slithers on the ground, and she rolls onto her back and seems to invite him to sniff her and “play” with her. She also crouches low with her rump up in his face. He sniffs her reproductive organs, but also stands over her in a humped position as she lies on her back, and she sniffs his from her lying down position. Although the 52 slides I’m posting (out of about 360) were taken in the dark and are blurry, you can still see what is going on between these two.